I have just been nominated as a Women’s Health Hero from the Our Body Ourselves collective by a former student. I am so honored by this nomination. The series of books written by this collective is superb. I wrote (with two colleagues) a chapter for their book on menopause which is a topic near and dear to my heart as fibromyalgia seems to speed up at mid-life. 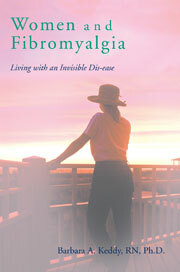 I also have a chapter in my own book on fibromyalgia regarding menopause. If you are interested in nominating me (or some of the other wonderful women) please visit their site as soon as possible www.ourbodiesourselves.org/heroes.asp Nominations cease May 8th/09! Just reading about those lovely women is inspiring. Thanks to all who voted for me! Thank you to Dr. Josephine Etowa who nominated me and who remains a wonderful friend, former student and colleague. I was thrilled to be among the top 20 inductees! Please do check out their website and keep in touch with their new books about various aspects of women’s health. This is a well established collective and one that is held in high regard by women. Please also visit www.myheartsisters.org for a very helpful site developed by Carolyn Thomas, another inductee, who has written me to say that many women with fibromyalgia also have a history of heart disease. This entry was posted in fibromyalgia and menopause, Our Bodies Ourselves, www.myheartsisters.org on May 2, 2009 by Barbara Keddy.